As a Client Services Coordinator and Office Captain for the Fort Lauderdale office, I offer marketing and administrative support to brokers and team members. My day to day responsibilities include producing market surveys, tour books, broker opinion of values or any client/property specific collateral. In the same, providing an extra hand with any office management needs; from ordering supplies to greeting our valued clients and guests. Over the past 10 years, I have had the pleasure of supporting various brokers in both residential and commercial real estate services. In the capacity of administrative support, I have been employed by firms such as Brown Harris Stevens, Lee & Associates NYC, and Jones Lang Lasalle (JLL). I enjoy, being accountable to my responsibilities, delivering results, and facing the many challenges my role includes. Acting as a real estate agent, in my past, I’ve partnered with companies such as Coldwell Banker (Jersey City, NJ), Donovan Realty & Development (Jersey City, NJ) and Citihabitats (New York, NY). I was led to obtain real estate licenses in NY and NJ after speaking to a broker who gave great insight to the potential financial opportunities that could be created in this industry. I later found value in the professional, educational and relationship opportunities as well. Walking my clients through a satisfactory process of homeownership from start to finish was always a joy to experience. I enjoy learning and implementing new technologies to allow for seamless and efficient work flow. At Colliers, I hope to continue developing my skills and become a source of knowledge for my colleagues. In my role as Executive Vice President, I specialize in corporate tenant representation, partnering with both local and national corporations to evaluate and implement their strategic occupancy strategies. As a dedicated tenant representation specialist, I have successfully represented the end-users of commercial real estate space in Florida for more than 20 years, supporting clients’ business plans and typically reducing their spend by 15-20%. Most recently as a Managing Principal with Cresa South Florida, I was instrumental in growing and expanding the South Florida team with the support of Cresa’s national tenant representation platform. Throughout my more than 15-year tenure with the firm, I transacted in excess of two million square feet of office, education and medical properties on behalf of corporate occupiers. I have conducted state-wide portfolio transaction services on behalf of clients such as Barry University, the University of Phoenix, and Envision Healthcare Corp., among others. Recent transactions include an 89,000 square-foot office lease for Envision Physician Services in Plantation; an approximately 40,000 square-foot renewal for Global Eagle Entertainment in Miramar; and a new 14,000 square-foot lease for Union Institute in Hollywood. 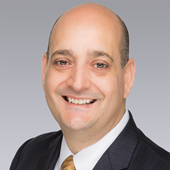 Sal Bonsignore, SIOR, CCIM joined Colliers International in 2004 and currently serves as a Senior Director in the Fort Lauderdale, FL office. Sal specializes in office brokerage, with a focus on tenant representation, landlord representation, and sale transactions. Lending his extensive experience, analytic skills and creativity, Sal has facilitated complex real estate transactions on behalf of investors and local, national and global occupiers across a variety of industries. Sal’s results-oriented approach enables him to add value to all his assignments by identifying opportunities, enhancing efficiencies, and mitigating risk in changing market conditions. Tripp Greene provides fully-integrated mortgage banking services for owners and investors, including the origination, structuring, and placement of debt and equity transactions across the state of Florida. Tripp will be focused on the South Florida Market. Most recently as a Senior Production Analyst with CBRE in Tampa, Tripp analyzed operating statements, rent-rolls and third-party reports to create cash flow models and offering materials for capital sources. While there, he also managed communications and data collection for underwriting and analyzed loan opportunities for all asset types throughout the country. 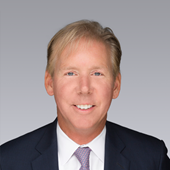 Prior to CBRE, he was a Commercial Real Estate Underwriter for Valley National Bank (previously CNL Bank), where he managed a $135 million portfolio, including multifamily, medical, office, industrial, retail, and single-family assets. He also performed financial analysis on more than $100 million in successful transactions, totaling more than 500,000 square feet of investment real estate. 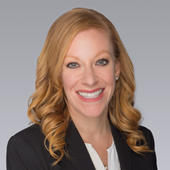 As a Senior Associate in the Fort Lauderdale office of Colliers International South Florida, I am spearheading our newly expanded specialty practice focused on public institutions. With nearly 10 years of public sector experience, my most recent role was serving as Acquisition & Relocation Agent for HDR concentrating on right of way projects in Miami-Dade, Broward and St. Lucie Counties. Prior to that, I was a member of the CBRE South Florida Occupier team, as an integral part of the City of Fort Lauderdale’s account management team which was responsible for the execution of the City of Fort Lauderdale’s strategic plan, including the evaluation, disposition, repurposing and management of the City’s leased and owned assets. 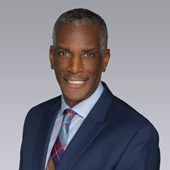 I have also worked with the Public Institution Group representing Martin County and Riviera Beach Community Redevelopment Agency, in addition to four years working for the Florida Department of Transportation (FDOT) District 6. 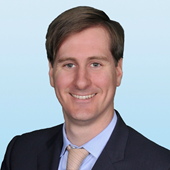 Along with his partners John Nguyen and James lampman, Mr. Morris is one of the leaders of Colliers Affordable Housing. This specialty group is active across the country brokering in the disposition and acquisition of affordable housing complexes coast to coast. I bring more than 20 years of commercial real estate experience to Colliers South Florida. Collectivly our group has over 50 years of experience. In the past twelve years, I have narrowed my specialty, focusing on affordable housing property transactions. I have experience closing a broad range of project-based deals, including the Homeownership Assistance Program (HAP), Rural Development (RD 515), and Low-Income Housing Tax Credit (LIHTC) which included both General Partner interest transfers and fee simple sales. Building upon my foundation of knowledge and experience, the Affordable Housing division is positioned to help clients navigate the complexities of this niche property landscape - including strategic planning issues, development and tax matters, and intricacies of federal, state and local housing programs.